Hello everyone! How are you all? I hope you all are enjoying the new year and believe that this new year will bring a lots of joy, love and happiness for all of you. Well! As I already said that now a days I have got great affinity towards prom dresses and yes this post will yet again be showcasing some very beautiful and gorgeous cheap prom dresses from one of my favorite website missdressshop. 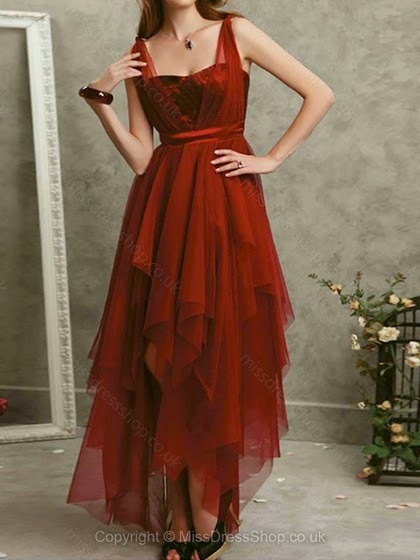 I can’t get enough of partying and lovely colorful dresses so this becomes very important for me to share some gorgeous prom dresses at my blog. Hehe! I know you guys must be excited to see some more wonderful dresses from this wonderful website ‘missdressshop’ so without wasting any time further let us jump on my new lust list or say wish list of Prom Dresses UK. This red A-Line straps asymmetrical cocktail dress is one of my favorite from the website. I always look that special feel in every dress which I wear in a party and this draped cocktail fits just perfect in that special place. Isn’t this red dress simply wow? It’s almost impossible to find a girl who isn’t a pink fan. I myself being a great fan of this feminine shade always try to pick a pink dress in almost all my wish list posts and yes definitely this prom dress wish list post is no exception. I am truly in love with this pink A-line scoop chiffon sweep train dress. Love! I must say what a gorgeous dress it is! 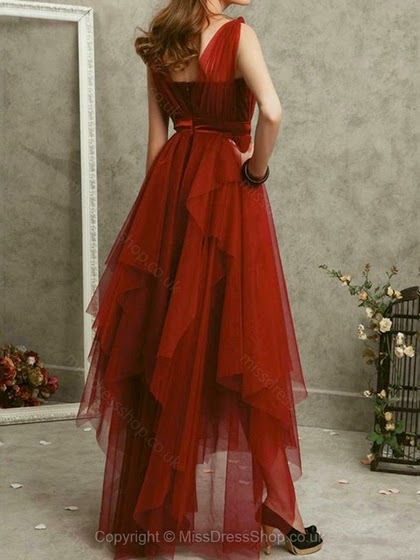 Floor length dresses are always my favorite and the color of this dress and its design is a cherry on the cake. I am surely going to buy this prom dress soon.